“Considering the way our visual field is daily under a media assault, the artist wishes to create alternatives which offer retreat and respite from daily life. Believing in the cathartic influence and potential of abstraction, Tozer’s project for Corner was devised to create “a portal to the fluid and private dream space” of the willing and affected viewer. 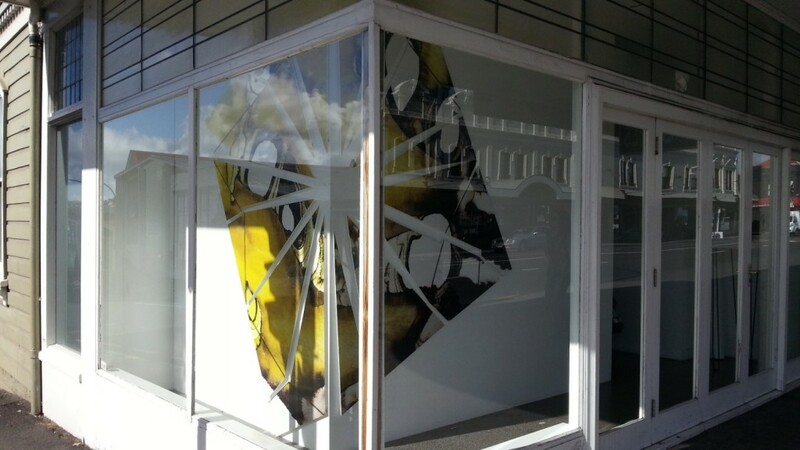 Pop Vacuum 2 presents scaled up imagery of the stains, shadows, half forms and evaporating traces of fluid and pigment on paper; and the once-whole image has been shattered against the corner of the internal wall within the Corner window space.